State Farm recently sent out a job aid in several markets instructing Select Service shops how to set up a series of standardized Parts Codes in CCC, a source revealed to us. 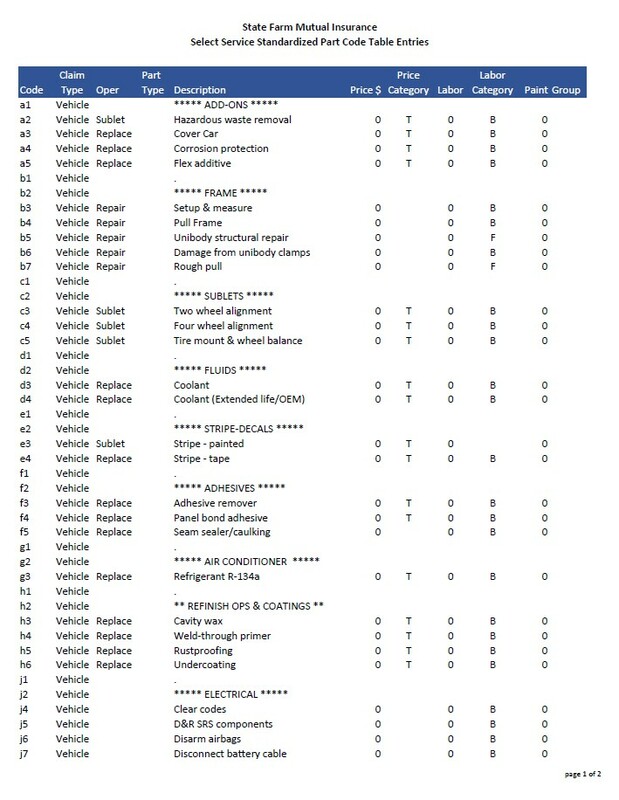 User-customizable CCC Part Codes or counterparts in other estimating systems can be a tool for both direct repair program and non-DRP shops. They’re a way to quickly stick a not-included operation on an estimate without having to type the description over and over again. Google search results find Liberty Mutual and USAA referencing part codes and CCC and the California Autobody Association suggesting shops in that state build them for teardown operations to comply with Bureau of Automotive Repair regulations of the time. All the records appear to be from the past few years. Part codes also help foster standardized language, which in addition to better communication between parties facilitates research of not-included items found on multiple estimates. If estimators within a shop or across the industry are all using different terminology to describe the same thing, it’s harder for an owner, insurer or researcher to keep tabs on that thing. Mitchell and CCC over the past year have both indirectly demonstrated the hassle of nonstandardized manual-entry language in research while reporting their findings on the not-included operation of scanning. CCC’s 2018 “Crash Course” describes studying appraisals with “any entry denoting a ‘scan/diagnosis/health check/astech'” to research scanning, and a Mitchell executive at the January CIC described searching thousands of estimates for multiple terms all suggesting scanning so as to encapsulate the issue. We asked CCC if the part code list was something developed externally at State Farm or if it was something developed by CCC specifically for the insurer. Or was it merely a copy of a stock resource CCC had on hand and encouraged any interested insurer or shop to follow to keep terminology consistent. “As it relates to your question about State Farm communication to Select Service shops, you’ll need to talk with State Farm directly,” CCC spokeswoman Michelle Hellyar wrote in an email. State Farm said it had nothing to share on the topic. Based on the alphanumeric codes and formatting, the list State Farm provided resembles a modified version of a generic part code list DEG Administrator Danny Gredinberg said CCC makes available to everyone. Gredinberg said collision repairers without a parts code table or seeking a starting point could reach out to their local CCC territory representative and have the stock version installed remotely into the shop’s system. “From there the end user can modify the lines or add and remove” relevant operations, according to Gredinberg. He said it was good for shops to develop their own part code table in any estimating service. “This should include all consumable parts not included in the estimate” as well as other “labor operations that you are having to do manual entries for,” Gredinberg wrote. The table would serve as a reminder of things they might have missed, he explained. The State Farm communication provides another lesson for shops besides the best practice of developing Part Codes. The two-page Part Code template suggests the insurer hasn’t ruled out reimbursing the various operations listed. This probably doesn’t mean State Farm adjusters are going to automatically agree to these charges on everyone’s estimates, but it does imply that an absolute “we don’t pay for that” from a State Farm adjuster regarding one of these line items is incorrect. Clearly, these operations are on State Farm’s radar; it anticipates they’re likely to appear on Select Service estimates. The State Farm list describes some of these operations with a “B” representing a body rate rather than the mechanical rate you’d expect. However, CCC said its Part Code manual line entries automatically default to “B” if no labor type is selected. Thus, the “B” labor category constantly appearing here might be merely a placeholder. 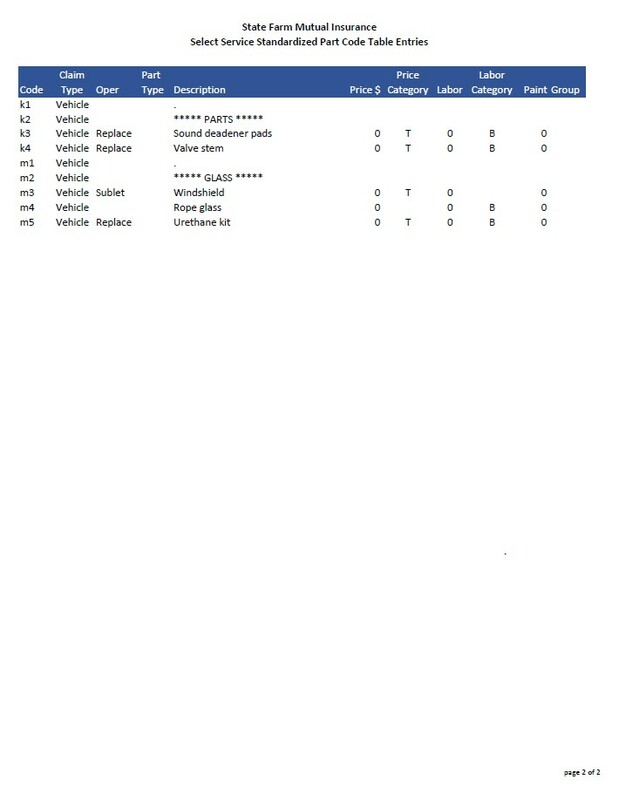 But since a couple of items were represented as “F” for frame labor, we asked State Farm for clarification: Were the categories on the list just placeholders to be changed later by shop estimators, or did they represent classifications formally agreed to by the insurer and its shops? 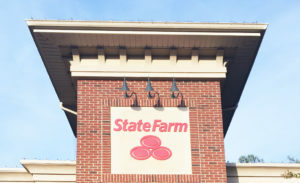 “Related to your inquiry, shops with questions should reach out to their regular State Farm contacts for assistance with any questions they might have,” State Farm senior public affairs specialist Chris Pilcic wrote in an email.